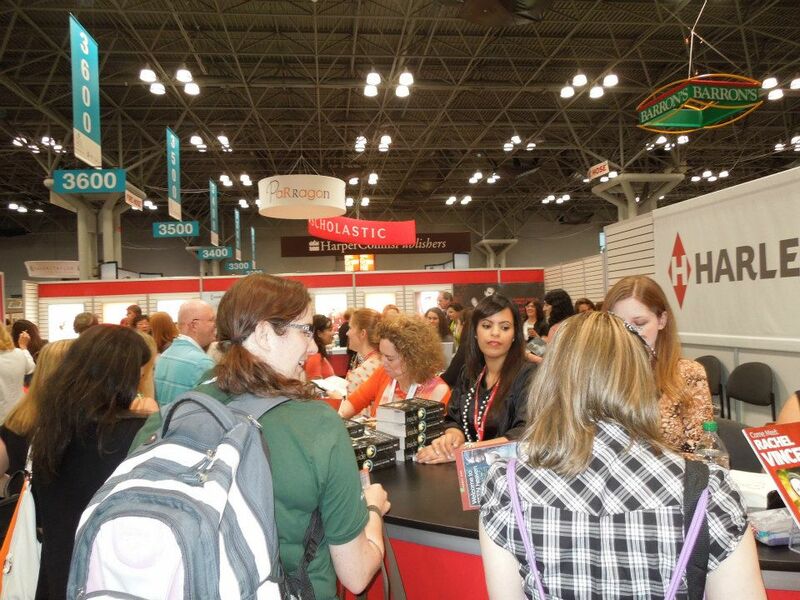 Ask anyone who attended BEA in past years and they can attest to the massive crowd that the HarlequinTEEN hour amasses. I was fortunate enough to attend both last year and it was an absolute dream mkeeting several of my favorite authors in one fell swoop. 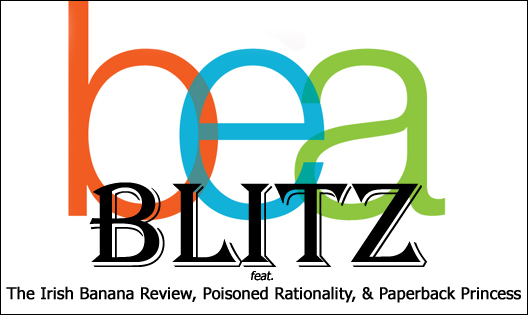 Today I have the amazingly kind Lisa from HarlequinTEEN, who was gracious enough to share some of her past experiences, offer some sound advice and give us a glimpse into what HarlequinTEEN has in store for BEA goers this year! This upcoming BEA 2013 will be my third year in attendance. I’ve actually only been to RWA (Romance Writers of America Conference), which are both completely different events. In comparison, BEA is much like you would expect a conference to be: it is held in a very large hall (the Javits Center), there are many booths and a lot of catalog’s/brochures. However, don’t think that means it is dull; for anyone who loves the written word, it is a book paradise. Be nice, up front and honest with any questions you may have. I would suggest first asking if there is someone in the booth who could address you specific questions, that way you are placed with the correct person right away. 4.) How much planning goes into an event like this for you and your coworkers? A lot of planning is involved for BEA. We start in January and don’t stop until it ends on Saturday, June 1st. 5.) Are there any titles from HarlequinTEEN you're excited will be at BEA this year? Our teen authors are always a great draw! This year we will be having Katie McGarry and some of the first finished copies of DARE YOU TO (June 2013), debut author Amanda Sun will be signing copies of INK, and Julie Kagawa will be signing copies of THE ETERNITY CURE (May 2013). I'm somewhere in between. LOL. When I get overwhelmed I stand back and watch. And shake. Like a puppy. But then other times (when I work up the nerve or feel more comfortable and relaxed) I am very outgoing. Hence why I wound up doing the YA dating game at a book festival this week and being on display for a group of people and sitting with several authors. That is awesome that they are doing the same signing for all 4 on 2 different days that makes it so much nicer for us who can't make it to one! All your BEA posts are so helpful and awesome!! This is going to be my first year at BEA and I'm SO excited/nervous. I'll be the girl standing there like a deer in the headlights, haha. I am signed up to go to the Harlequin Breakfast BUT I am this close to NOT going. Social anxiety. Ugh. BUT I do need to eat...Hmmm..Hopefully hubbs gets me there in time. Its EARLY on Thurs. 8 am. I am excited to meet Julie Kagawa (again) & fangurrl over Katie McGarry. Hopefully someone will snap a pic of me and them together. I'll be available to snap pics for ppl in line with me too.